How do we define the edge of space? What is the Armstrong Limit? 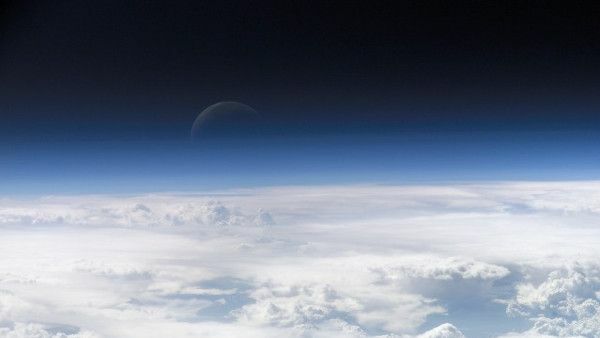 Edge of space really depends on what you mean because the Earth’s atmosphere doesn’t suddenly end, but gets thinner and thinner as altitude increases. At an altitude of about 10,000km, the atmosphere is so thin that it becomes indistinguishable from the solar wind. At this point, we say the atmosphere has merged with the solar wind. This is a possible definition for the edge of space: the place where the atmosphere ends and outer space begins. However, the upper region of the Earth’s atmosphere is very tenuous and, for practical purposes, can be considered a vacuum. For example, the International Space Station orbits at an altitude of 400km and the Hubble Space Telescope at an altitude of 600km – which are definitely within the region of the Earth’s atmosphere known as the thermosphere. However, the atmospheric density is so low at that atoms travel, on average, several kilometers before encountering another atom. Even though there is not enough atmosphere for humans to survive, there is more than enough for weather to happen and airplanes to fly in. At this altitude, the atmosphere becomes too thin to support aeronautic flight because there is not enough aerodynamic lift to support a craft. The vehicle would need to be moving at orbital velocity (or faster) in order to generate sufficient lift. In other words, the Kármán Line is the altitude where the velocity to keep an aircraft aloft is equal to the orbital speed. The Kármán Line is the altitude (100km) where the velocity to keep an aircraft aloft is equal to the orbital speed. It is the "edge of space". Altitudes above 19km, low air pressure causes blood to boil at body temperature. This altitude is called the Armstrong Limit. The "edge of space" depends on what you mean because the atmosphere doesn’t suddenly end, but gets progressively thinner with altitude.